Metro Detroit Writers: Put this Write Night on Your Calendar! It’s the middle of January. If your New Year’s Resolution to write more or publish a book is already starting to look like a pipe dream, it may be because you haven’t found a group to help you support your commitment to yourself. If that sounds like you, put this writing night on your calendar! Keeping commitments to yourself can be hard. There are always easier, seemingly more important, or let’s be honest, more profitable things to do than self-care. But all-work, no-play doesn’t just make writers dull, it can also cut off their creativity and make it hard for them to function. 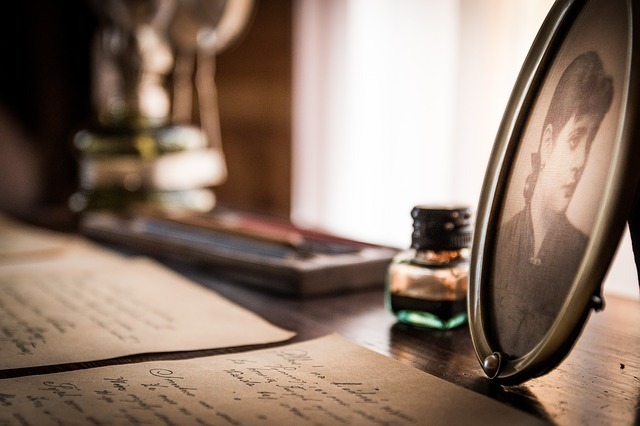 The problem is that we like to think of writing as a noble, solitary vocation. We imagine ourselves sitting in our best English robes, with a steaming cup of tea or perhaps a pipe, crafting the great American novel along in our two-story library (with wrought-iron circular stairway of course), sitting in our favorite Victorian high-backed chair before a roaring fire. Let’s face it, we all romanticize the art of writing sometimes. Maybe your image of an idyllic writing scene isn’t exactly the same as mine. But for many writers, writing is something they do alone, at home, when they get a chance, and they think of it, and they aren’t too burned out from all their other works. And so, let’s be honest, it doesn’t happen as often as we would like. The good news is that writing doesn’t have to be lonely. There are communities of writers out there who want to cheer you on and help you meet your goals to write more, write better, and even get published. For many fiction writers, connecting with the local writing community starts during National Novel Writing Month in November. During NaNoWriMo, writers commit to write 50,000 words in 30 days. It’s an ambitious goal, one that takes dedication, sacrifice, and let’s face it, basically putting everything else you do aside for a month. To help each other achieve it, writers gather for write-in events that encourage them to put more words on the page. It can be a great way to push yourself, but it can also be intimidating if you are just getting started. Besides, who wants to wait until November, when you’ve already committed to writing more now? Rather than waiting for the next big NaNoWriMo push, why not get connected now, while you are still thinking about that New Year’s Resolution? The PatchWork Collective wants to connect Metro Detroit writers together and give them a space to work collaboratively and meet their own goals. 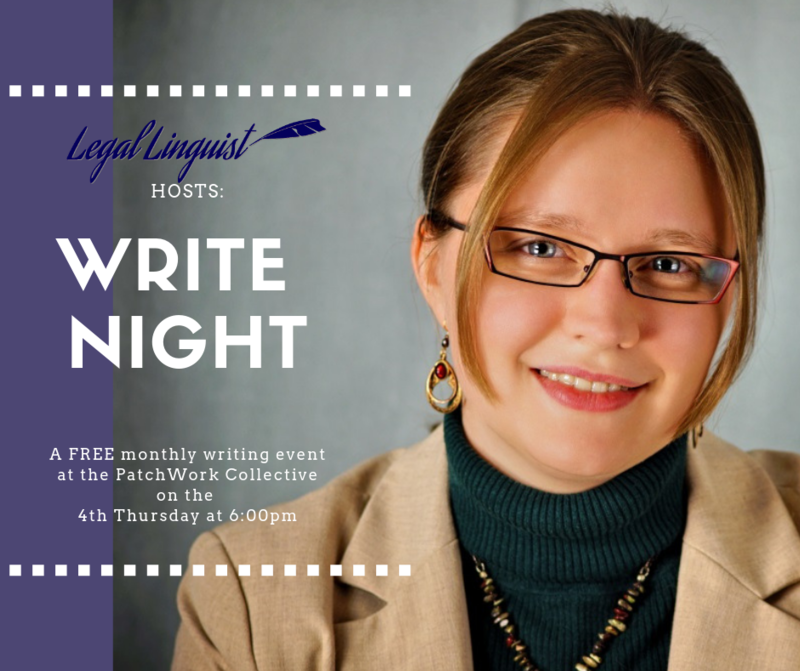 That’s why we’re partnering with Lisa Schmidt, the Legal Linguist, to host monthly free Write Night events at the PatchWork Collective. Lisa is a legal blogger who provides ghost-blogging and web content services to lawyers across the country, and small business owners here in our local community. She knows how to develop a niche writing market that you can use to turn a hobby into a paycheck. Similar to our monthly Creativity Nights, these events will be free to attend. They’ll have an open format with lots of time set aside to just practice your writing. There will be an opportunity to share short selections if you want to, but if you’re not the type to read aloud, don’t worry about it! Future Write Night events may include short presentations by local writers, editors, and publishers who can help writers take the next step toward making a living with their writing. We will be asking members of the Write Night community what they need help with and finding speakers to fit the bill. Then, when NaNoWriMo does roll around, you’ll already have a network of writers and friends to help you meet those goals. During November we will host frequent write-ins and we are currently planning a special weekend-long event, just for members of our Write Night community. Want to get involved? Check out our Write Night event on Facebook, or RSVP through our Community Member Portal. Then grab your laptop, bring your muse, and let’s get writing!